The pebble is an excellent raw material for producing aggregate, an important material in the construction industry. Pebbles come in various colors and textures, and can have streaks of quartz and different colored sedimentary rock. Pebbles are mostly smooth but, dependent on how frequently they come in contact with the sea, they can have marks of contact with other rocks or pebbles. Applications : Cement, Chemical, and refractory. Pebble crusher produced by YIFAN feature high quality, easy operation, high capacity, and low operation cost. It has been proved that our VSI crusher is well received by our customers, and most of aggregate producers think that it is the most suitable crusher for sand making. The pebble crusher refers to the type of crusher used in the aggregate production line, such as jaw crushers, impact crushers, cone crushers, VSI crushers. Due to its hardness, the pebble crushing consists of two or three steps, usually the coarse crushing, secondary crushing, and fine crushing. However, different sizes of pebble have varied applications, if aggregate producers have particular requirements, we introduce you the VSI crusher, which is a necessary machine used in the production line. In addition, some stone quarries are not very smooth, so mobile crushers for pebble processing can play a far more important role. Pebble mobile crusher: the complete crushing unit including feeding, crushing, and screening process. 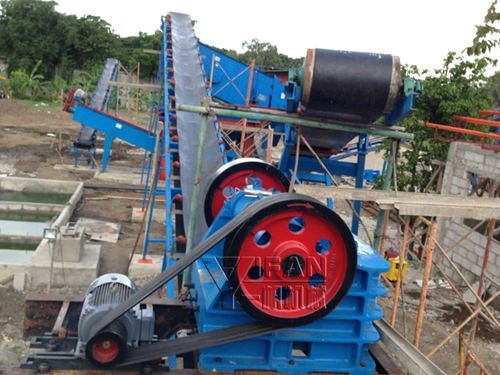 Cobble mobile jaw crusher includes vibrating feeder, primary jaw crusher, vibrating screen, and belt conveyor. So as the cobble mobile impact crusher, cobble mobile cone crusher, and the crawler type mobile crusher. Pebble jaw crusher: widely used as primary crusher and mainly used in primary crushing process. Its feeding opening varies from 105×250mm to 1200×1500mm. The capacity is between 1t/ph and 1000t/h. 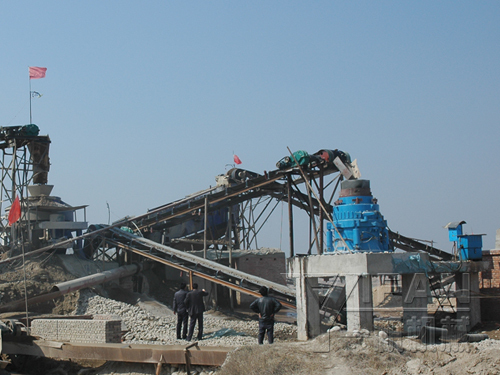 Pebble cone crusher: used as secondary crusher and mainly used in secondary crushing process. YIFAN provide you with many different types, such as SMH cone crusher, Spring cone crusher, and SMG series cone crusher with hydraulic presser. Pebble vsi crusher: with the functions of crushing and shaping, it can make the products in very good cubic shape. The cobble crushed VSI crusher is suitable for road, highway, water conservancy, airport, civil construction etc.